This blog explains about API which means Application Programming Interface. 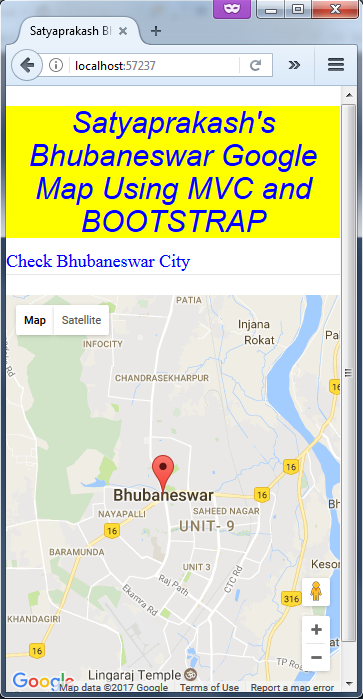 Google Maps API allows you to display maps on your ASP.NET MVC Website. API means Application Programming Interface. An API is a set of methods and tools, which can be used for building software Applications. You will need to register and get an API key from Google API, which will be used to load and display Google Map. 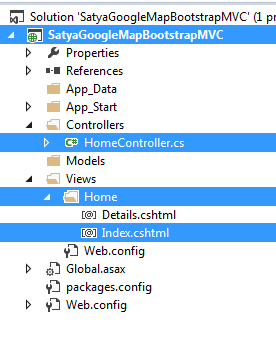 Create a MVC Application named SatyaGoogleMapBootstrapMVC. Now, create a controller class file named HomeController.cs. Create a View based on Controller Action Method Index named Index.cshtml. 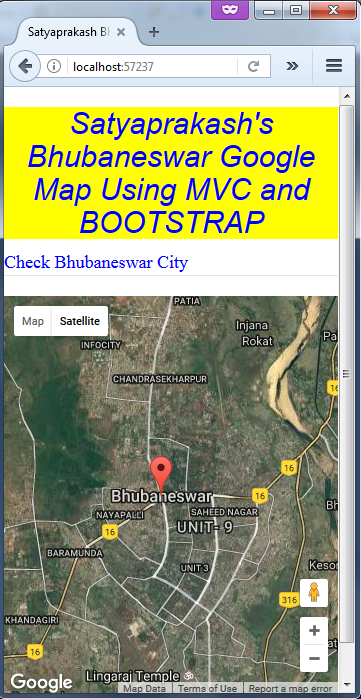 Here, I added some script reference file to keep loading of Google map and support mobile View, using Bootstrap. In div tag, I set the Google map view width and height. This also defines the map container and size. Create a function to set the map properties. The mapProp variable defines the properties for the map. The center property specifies where to center the map (using latitude and longitude coordinates). The zoom property specifies the zoom level for the map (try to experiment with the zoom level). The given code creates a new map inside the <div> element with an id= googleMap, using the parameters, which are passed (mapProp). The marker variable set the marker position as given latitude and longitude coordinates. Then marker pass the map varible properties in setmap function. This is defined in Google map scroll wheel. Proceed, as shown below. Here, you can set Google map and type I set here as ROADMAP. Google allows a Website to use any Google API for free, millions of times a day. Now, you have to sign in to your Gmail account and you will get the key. Google Maps expects to find the API key in the key parameter when loading an API. Show street map with Terrain. Show image with the street names. If there is any invalid Google API key or key is empty, then the page will looks, as shown below. 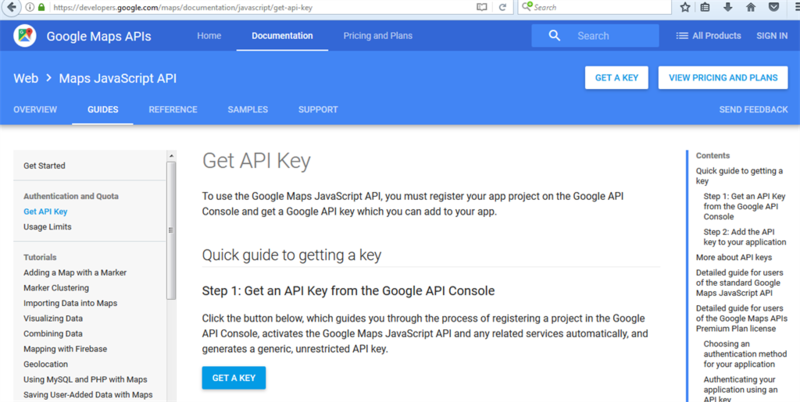 How to get Google map API key. Google map, using Bootstrap, using multiple view support.